Cow's ghee is mentioned like nectar in Ayurveda. Many people in our home become health conscious and do not eat ghee. But if you include cow’s ghee in your diet then you can control your weight and you do not have any disease. 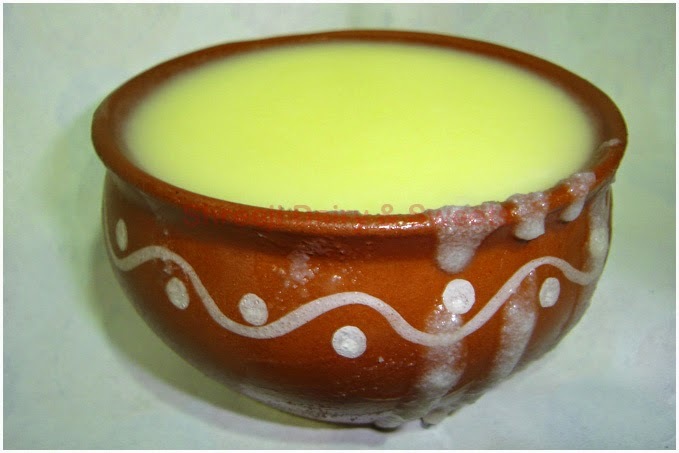 Ghee means ghee made from cow’s milk which is also considered a type of drug. There is plenty of energy in cow milk same way a person is energetic who eats cow ghee. The organism that eats cow’s ghee his life appears in a different way. There is glow on her face, life in body and sharp wit. Cow’s ghee is very tasty and fragrant. Let us know about some health benefits of cow’s ghee. Removes Migraine: It is fine to put cow’s ghee in nose when you have migraine pain. Good for Child: Gout increase after the child’s birth which can be vanished by intake of ghee. Obesity rises if it does not turn out. Beneficial for heart: Ghee works like lubricant when there is blockage in heart veins. Removes Constipation: Ghee is also helpful to remove constipation. Removes Bile Problem: When bile increase in summer ghee cools it. Removes Gas: Gas does not occur by adding lentil in ghee. Reduce Obesity: Obesity reduces by eating ghee. Shiny Face: It has good amount of anti-oxidant which fights with free radicals and maintain brightness on the face. Enhance Light Eyes: Mixed 1 teaspoon pure ghee, 1 teaspoon ground sugar, 1 teaspoon ground black pepper. Eyesight improves by taking this mixture with milk in morning with empty stomach and at bedtime.